Spending time together in nature is one of the best ways for families to grow together. That’s why the YMCA has added a second family camp in northern Minnesota through the purchase of Timber Wolf Lodge and Northern Lights Lodge & Resort. Camp Northern Lights is unique among YMCA camps in that it provides programming centered on connecting families. Our mission is to strengthen families by providing opportunities for individual and family growth, supporting spiritual development, and enhancing environmental awareness in a wilderness setting. YMCA Camp Northern Lights seeks to promote an atmosphere where all persons feel welcome, included, and respected. At Northern Lights, we pride ourselves on appreciating the value of diverse populations and welcome all! Our programs are designed to enhance the relationships of any and all those that you consider a part of your family. In addition to Summer Family Camp, we also offer fall/winter/spring getaways and events for groups. 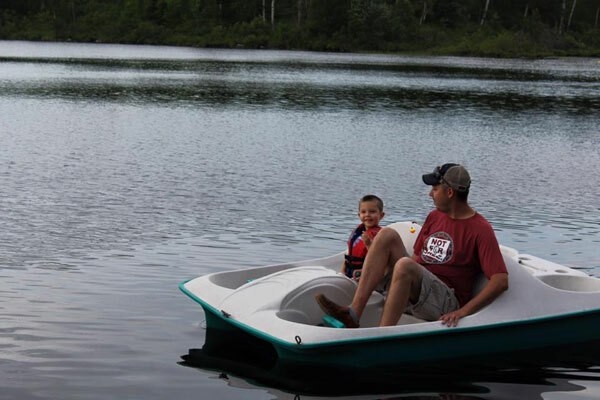 If your family is ready to explore northern Minnesota, then we invite you to plan your next Minnesota vacation up north with us on Bear Island Lake near Babbitt. Our property includes incredible lakeshore, great hiking and skiing trails, and lots of recreational opportunities. While Bear Island Lake is best known for its Walleye and crappies it also contains Northern Pike, Large- and Small-Mouth Bass and, of course, plenty of pan fish. There are no fishing or motor restrictions on this clear water lake and it is a structure fisherman's dream with more than 20 islands and over 20 miles of shoreline and bay fishing opportunities. Fishing boats and pontoon boats are available to rent for an added fee. 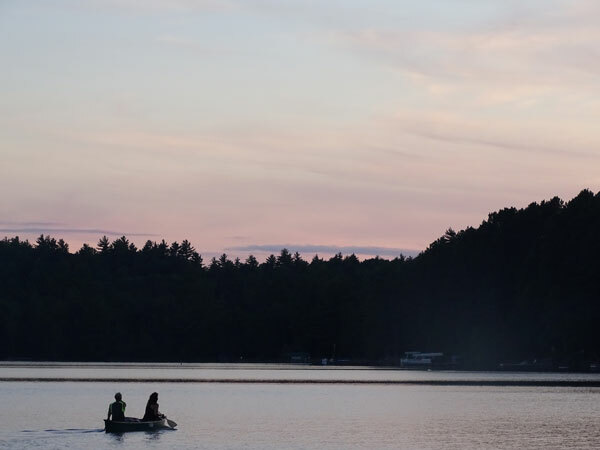 You can sign up for boat rentals when you arrive at camp. There is an electric, year-round sauna located in Sisu Village. If you Book Your Own Getaway, you can use the sauna at your leisure. If you join us for summer family camp, there are scheduled times for kids saunas, teen saunas, single-gender adult saunas and co-ed adult saunas. The Ely area averages 80 inches of snow per year, making it possible to pursue each and every one of your outdoor winter passions. Bring your skis, snowshoes, sleds or snowmobiles for winter enjoyment. Snowmobiles can be stored by your cabin, but need to be used only on the lake or nearby trails that are designated as snowmobile-friendly. Fire wood is provided for you at Camp Northern Lights and is included in your reservation. Please do not bring fire wood to camp. No dogs are allowed at Summer Family Camp—house-trained dogs are welcome September to May. The fee to bring a dog is $25 per night per dog. If you plan to bring your dog along to camp, please follow these rules. If cleaning needs are excessive you might be charged additional cleaning fees.